Tailoring isn’t just for your wardrobe. Laurie’s motto isn’t “people first, style second” for nothing! At LaurieBstyle® it’s all about YOU; Your needs, your goals, your life and your style. With just a quick FREE 30 minute introductory Style call, Laurie and her team can assess your situation and design a style program that fits best for you. You’ll even get some quick style tips and easy challenges to get your creative juices flowing. Style Discovery – Laurie will sit down with you and discuss your current style, your body type, how you feel about your style, what changes you want to see, what changes she recommends, and a course of action for this journey that is specialized just for you. Closet Cleanse– It is easy for a closet to feel overwhelming as we accumulate wardrobe year after year. Let Laurie and her team relieve that stress for you! She will identify what to keep, what to mend, and what to donate, leaving you and your closet feeling lighter, brighter and totally refreshed. As Laurie re-organizes everything back, she will coach you on what’s missing to help you enhance and reach your current style goals as well as how to maintain them for the future. Shop The Closet – Ever get that feeling when you look at your clothes and have nothing to wear? Laurie will help you see the potential that your closet already has, design you easy to style outfits that meet your personal style goals, all while finding the essentials you are missing to complete your personal style. Yes! It’s as if you purchased a whole new wardrobe, without even shopping in the stores. Leave feeling inspired and excited to get dressed every day. 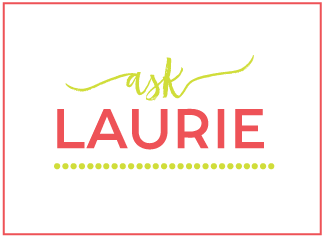 Personal Shopping – Whether you’re shopping for a specific reason, season, event, or you’re just ready for a style overhaul, Laurie knows exactly where to go to find just what you need! It’s all about you, your style, your needs, and your budget. Ask about the different options here as you can be present for the shopping or we can bring it to you! Remember, it’s all about YOU! 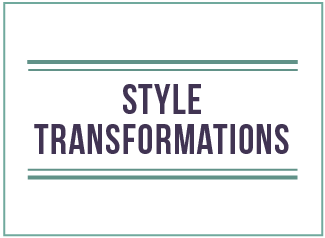 Style Transformation E-Book – Documenting every outfit we style together, the LaurieBstyle® team will compile them into your own personalized e-book that shows each ensemble with helpful tips and tricks that remind you why each piece and each outfit work for you. There are a few more style surprises, but you’ll have to wait and see what those are when you receive your own! StylePowerment with Skype – Style has no boundaries and neither does LaurieBstyle®. A stylist-to-the-rescue is just a Skype call away. In just two or three, one hour Skype sessions we can break through all your style challenges, evaluate what items you are missing in order to achieve your style goals, discuss the perfect outfit formula to style with everyday, work with accessories, play with belts, learn to dress for you body type, flatter your shape and so much more! 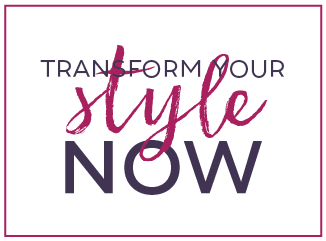 Plus based on your private sessions, Laurie will design for you, your own personalized style instruction and inspiration book to keep help you maintain your new found confident style every single day.